February 18, 2016 April 1, 2018 - by Gold Cochin - 7 Comments. 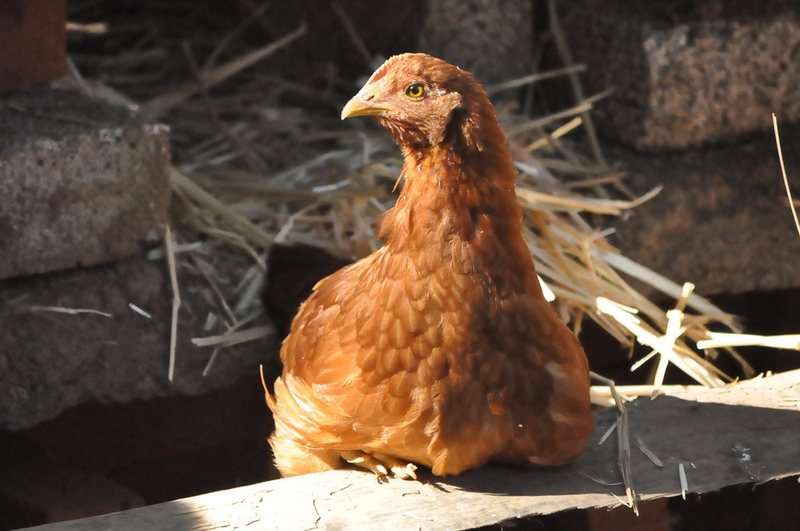 In our previous articles, we at the typesofchicken.com team were mostly focused on the usage of chickens as products, which breeds give the best meat, what to feed your chicken to get the best eggs and more. 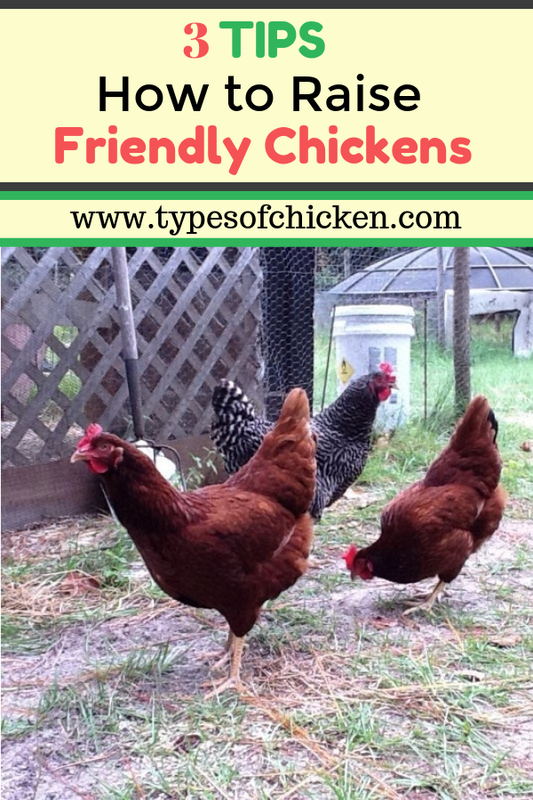 But from what we`ve learned from some of your e-mails, it seems like some of our regular readers are interested in how to raise friendly chickens.After doing some research and some discussions we are now ready to give a few tips on how to raise friendly chickens. After getting your baby chicks, or after hatching – they will be very afraid and confused about everything around them. Luckily we know the most common mistakes about raising chickens, and some of the secrets which chicken keepers keep. Everything will be new to them. Baby chicks don’t have the habits of an adult chicken. As soon as they start moving try spending as much as time with them so they can get used to your presence, give them treats from time to time and make sure that you are not aggressive when picking them up. Just make sure to pick the right treats. Make sure when you are petting them that you are not using too much force. Try talking to them, we`ll discuss in a moment why is that important. If your chicks are hatched, make sure that they spend time bonding with their mothers not only with you. Chickens are one of the more intelligent animals on this planet. They have the ability to see in color and they have a big memory. When you pick your chickens or baby chicks for petting try talking to them in a friendly manner, it is a fact that they will not understand you, but they will remember the sound of your voice. By doing this you will help them adapt to your presence in their environment. Soon, consider your lap as a safe and friendly place. This is very important to do when you are dealing with chicks, because as I said before they are scared and gentle. Spend as much time as you can talking to your chicks. They will grow to be good and friendly chickens and excellent listeners. First of all, you must determinate the gender of your chicken. Being patient with them is most important because they still are animals and the size difference between you and them will always put some fear in their eyes. As much as I like talking the best about chickens I have to say that they can be very stubborn, especially in that period when they stop being the cute little baby chicks and start growing into a healthy chicken. Especially during the winter and the summer. Between these periods they start being very annoying, something like teenagers, they don’t want to pet and they run from you. This is normal with chickens of that age. It will take a lot of time, patience and effort to make a friendly chicken from your baby chicks but in the end, when that moment comes and this little furry bird jumps on your lap and starts moving its head into your chest area it will all be worth it. If you have children make sure that you let them play with the baby chicks because I have yet to see a child that does not enjoy playing with them. Previous Article 10 amazing things you can do with your eggshells! 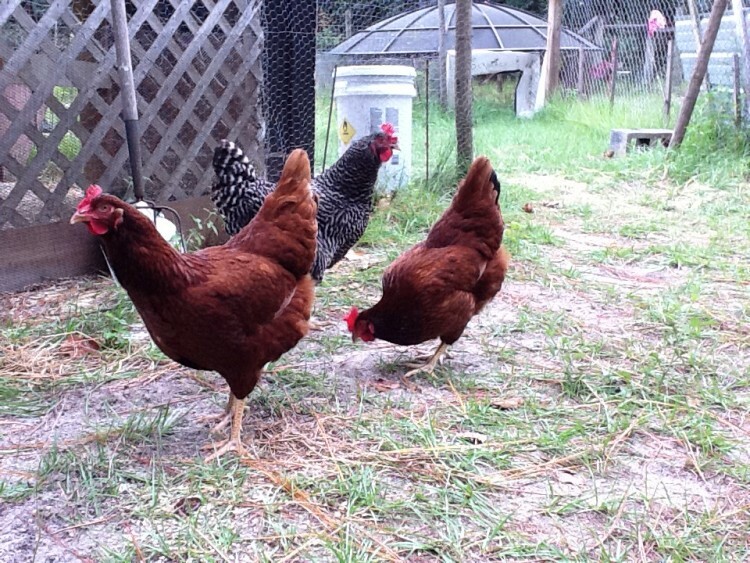 Next Article 3 Easy Tips on Keeping Your Chickens Happy in The Summer! A couple more tips to add: (1) raising them in a brooder or a box with a light bulb will usually cause chicks to become much tamer than if a broody hen raises them. A mother hen will be protective and herd her babies away from people, thus teaching them to be cautious. (2) But it doesn’t take a lot of effort to tame young birds that have been raised by a hen. After they’ve been separated from the mother (usually when they are fully feathered out) pick up the youngsters and carry them around a few times, speaking softly and stroking them. They get the idea pretty quick. (3) When you pick up a young bird, scoop it up from below rather than grabbing from above. It’s much less scary. Hawks and other predators pounce on young chicks, so any motion coming from above them will frighten them. Hold the baby to your chest, restraining the wings so it can’t struggle, and carry it around. It only takes a few times and they learn not to be afraid. 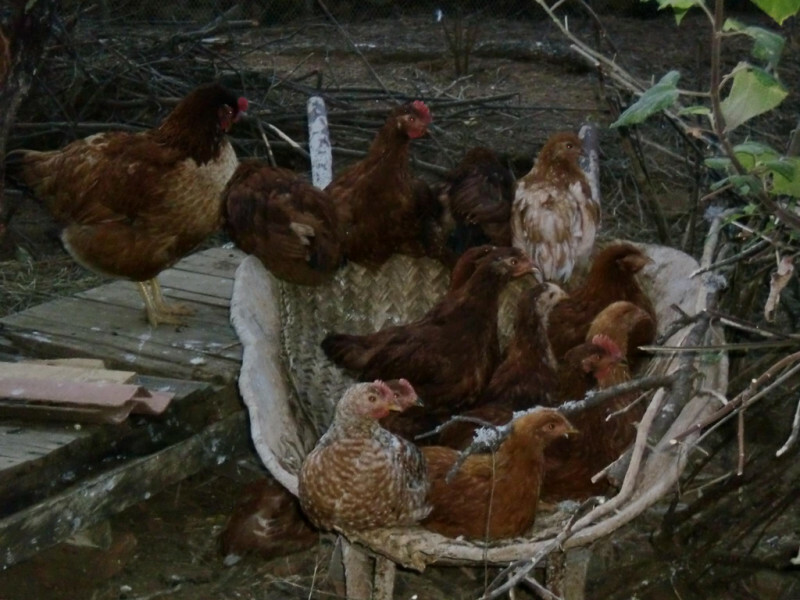 I have 9 chickens they are all my pets. 2 live in the house. One is my contact companion. She comes when I call her even if she’s in another room. I recently lost my mother and I’ll tell you she was very comforting. Animals can be very therapeutic. I’m curious about the two you keep in the house. This article says chickens are pretty smart. Are they house-trained? Do they go in a kitty litter box? Or do you have to clean up after them?